Berlin, and Germany in general, does not have a historical gourmet tradition of afternoon tea, but with an increasing demand for luxury services and so many long cold afternoons, there is an impressive potential to improve and diversify the local offer. 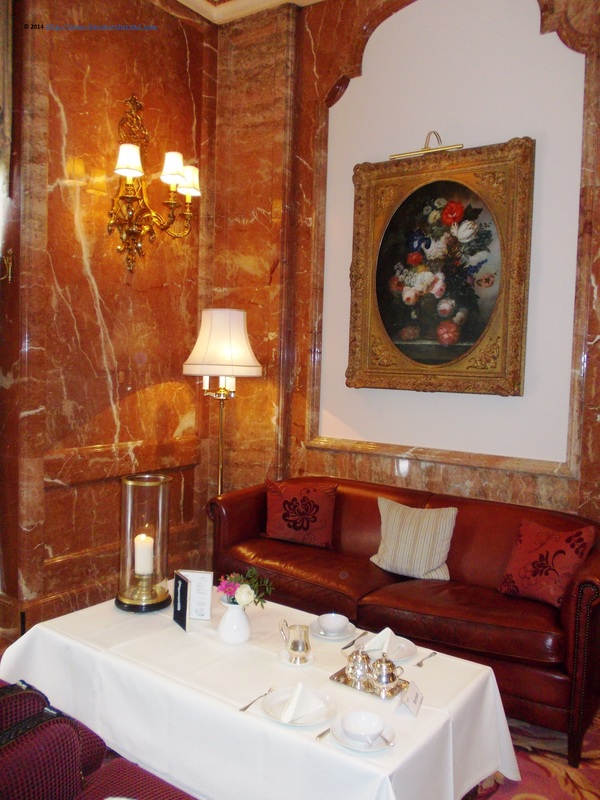 A couple of weeks ago, I was the guest of the very elegant lounge of the five-star Regent Hotel, situated in the equally stylish Gendarmenmarkt, in Mitte. Once you cross the luxurious lobby, walking under massive chandelier you arrive in the special room where the afternoon tea is served. The leather armchairs with comfy pillows, the English-style paintings, and massive marble wall coverings - every small detail is sewed together to create a distinguished space. A well-balanced combination of high-elegance, delicacy and the strength of the maturity, features noticed during my tour of the hotel facilities as well (review coming up soon!). It was summer afternoon and the ambiance was inviting to a very relaxing lucid dreaming, but I was there for a mission, so needed to switched back instantly to the alert journalistic mood. The tea at Regent Hotel is different from other available offers in town not only because of the ambiance and the quality of the pastry, but also because it has a special certified Tea Master Gold - by the famous Ronnefeld tea company - helping the guests finding the right blend for their afternoon tea. Out of 35 different kinds of tea, Roland Pröh will recommend then right combination, based on the taste and personality preferences. It sounds and definitely tastes too better than any kind of therapy. As for me, I settled on for the Meissner Rose blend: Chinese green tea with dried grapes from Meissner vineyards and delicate touches of rosebuds. It is refreshing, elegant and bringing back your well deserved body balance that you might easily forget about during crazy days, weeks or even months of hard work. It was served in simple Meissen porcelain, another trademark of pure luxury in Germany. Cold ice tea can be also served, but as usual, it depends very much of the blend, as most of them are perfect only when hot. 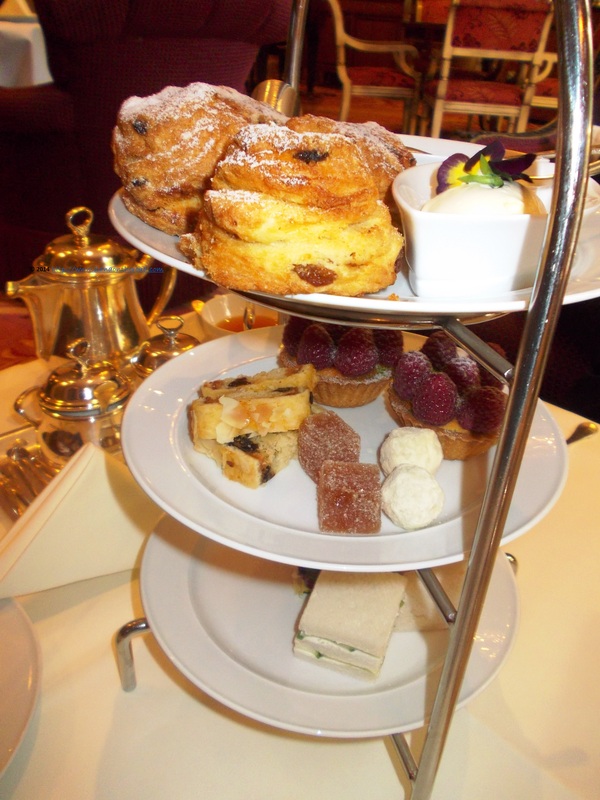 The three-tiered treats are the great companion of a relaxing afternoon, matching the soothing live piano music. Delicious enough to make you focus on the conversation, while biting little by little mouth-watering aromas and quality cooking. The cucumber and salmon sandwiches are simple yet made with care for quality. The scones with strawberry jam or clotted cream - with a fancy pansy on the top - were fresh and prepared according to the highest standards of French pastry. 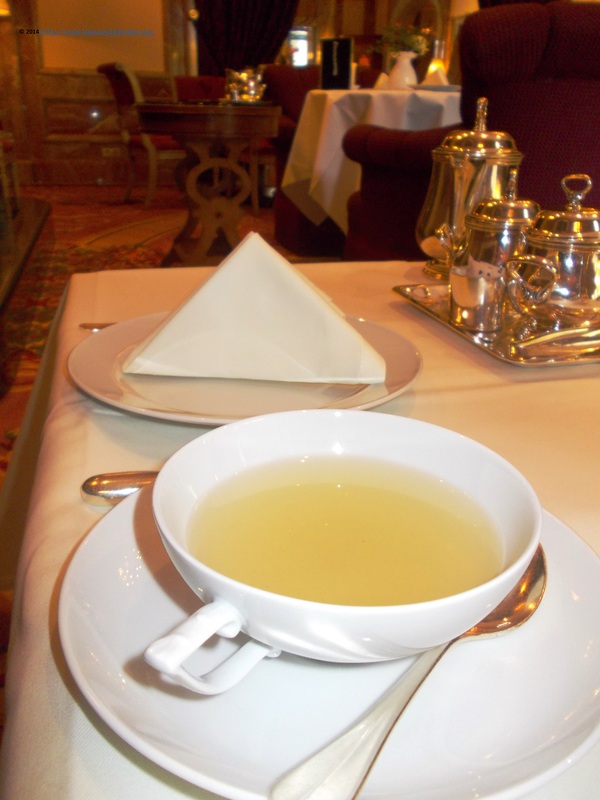 The small gingery jellies were not too sweet and matched unexpectedly my perfumed tea. My favourite was the raspberry tartelette, where the taste of the fresh pastry met the spotless fruits for creating a unique new taste. The key-word is 'normality', but in the highest sense of the word, and due to the beginning of the afternoon tea offer in town, it's a well deserved feature. On special winter holidays, there are slight changes into the menu, adapting the pastry to the traditional German dishes. During the summer, there is no need of reservation too much time in advance, but due to the high demand during the winter, such a booking is necessary - preferably 3-6 days in advance. It is served regularly between 2 and 6 pm. 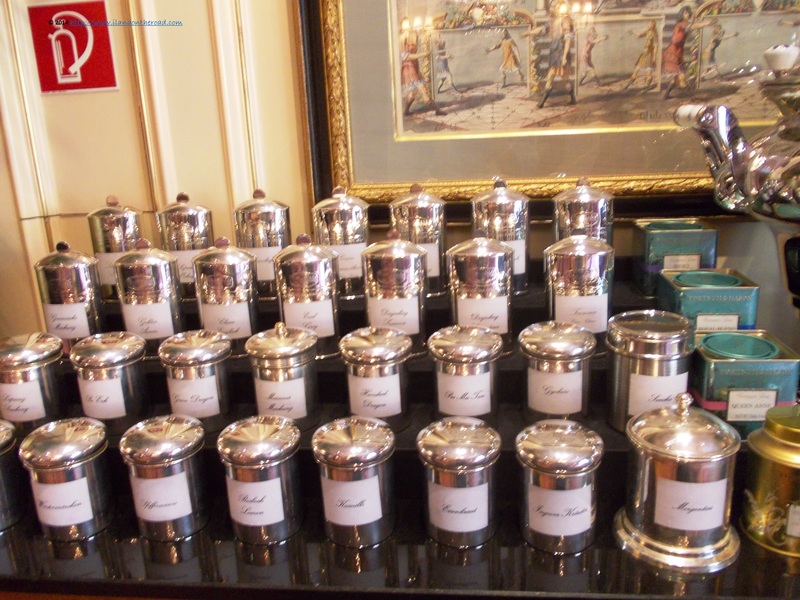 With so many teas to taste and such an elegant ambiance, I bet I will be back soon, probably in the winter, trying to retire for a short while in a small island of warm and beauty denying the ugly weather outside. Everyone has the legal right to look for his or her own normality, isn't it? Disclaimer: I was the guest of Regent Hotel for the afternoon tea, but the opinions are, as usual, my own.